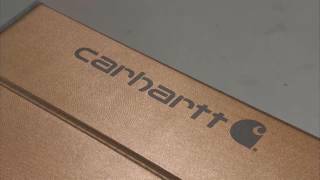 Carhartt® Sunshades are specially made to fit your vehicle windshields, reduce heat, protect your vehicle, and add a classic Carhartt® style. Each Carhartt® Windshield sunshade has 3-layers of heat defense designed to reflect damaging UV rays and heat while also absorbing surface heat keeping your vehicle cooler. The unique accordion design allows for them to be easily folded up and stored when you are ready to drive. These feature the iconic Carhartt® logo and a custom run "Carhartt® Brown" reflective finish. Adds a polished look to your vehicle since it's designed for your windshield. Super soft molded dash covers that fit perfectly and look amazing. Primarily for trucks and SUV's right now.